This post is not meant for the general audience of my blog. 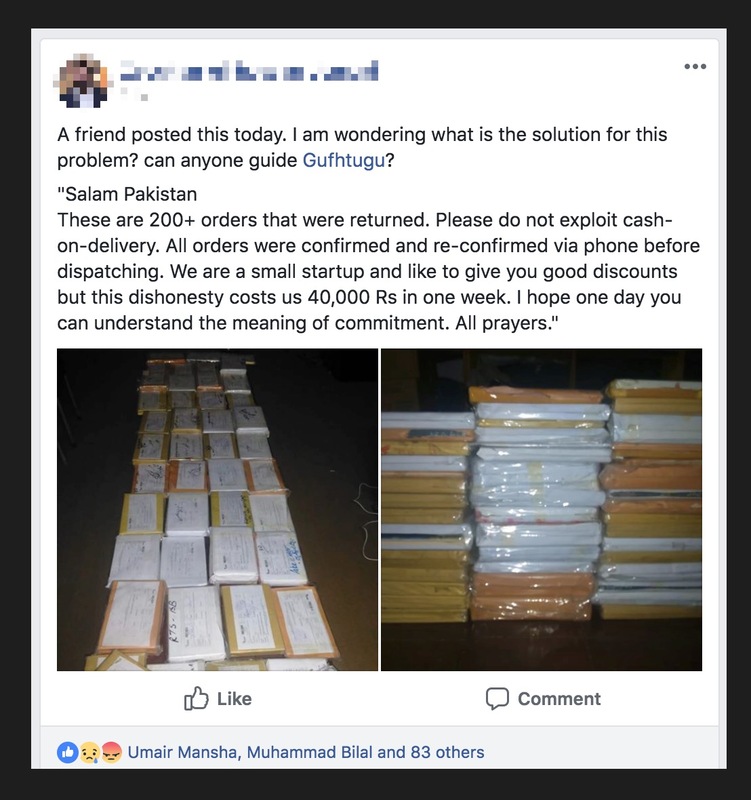 It’s a comment I posted on Facebook in response to a post in Pakistani Startups group — reposted here for more visibility and such. 🤔 C’mon guys! You’re a bunch of crazy founders. Build a solution for this problem. Engineers are problem solvers. Here let me help. 1. Make an API that can reduce this in an exponential manner with time. Call that API a #CODAbuser Blacklist. 2. Make sure you call and confirm the order. The address could be fake but the phone number is not. 6. If someone from the same address tries to order, your integration makes a simple HTTP request to an online serverless function to see if that address/phone is in the #CODAbuse list and then that customer gets a notice about why you can’t deliver to that address/phone and you get them to pay advance or explain the situation with care and make them give you more proof like CNIC # etc. 10. Also, make it easy for businesses to report a #CODAbuser so you get data for free. It’s after midnight, I just came out of a 5-hour long meetup that I arranged and had a talk for 2.5 hours. I am exhausted — which means that this is a crude and raw idea. Don’t judge me on this. But it can be polished pretty easily and executed like so. Have fun while you do all this. Even just by collecting this data you’ll be doing everyone a favor, it’ll teach our nation that there’re actual real-life consequences if you fake/lie/abuse/misuse anything online. P.S. Don’t ask me to do it. My plate is already full and I don’t have anything to do with Pakistani clients — which is sometimes such a blessing.